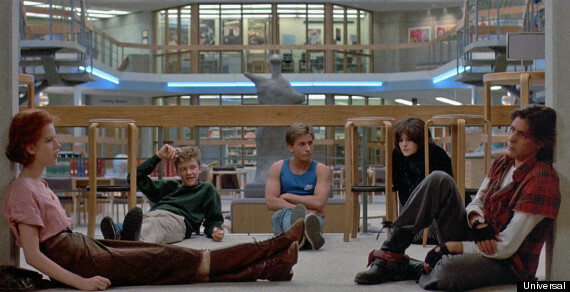 There is a new Best Evidence in Brief and this study made me hum ‘Don’t you forget about me’, the title song of the movie The Breakfast Club. Breakfast clubs that offer students in elementary schools a free and nutritious meal before school can boost their reading, writing and math results, according to the results of a randomized controlled trial published by the Education Endowment Foundation. Over the course of an academic year parents of around 8,600 students from 106 elementary schools in England with higher than average numbers of disadvantaged students were encouraged to send their child to free breakfast clubs. The independent evaluation by researchers at the Institute for Fiscal Studies and the National Children’s Bureau found that for Year 2 (first grade) children the provision of a breakfast club led to a significant improvement in the main outcome measures of mathematics (Effect Size = +0.15) and reading (+0.10) when compared with schools running “business as usual”. For Year 6 (fifth grade) children, the impact on assessments were positive but slightly smaller in reading (+0.10) and mathematics (+0.08). Surprisingly, there were larger improvements for students not eligible for free school meals than for those eligible. The evaluators also reported that students’ behavior and concentration improved. Attendance at school also improved for students in breakfast club schools, resulting in about 26 fewer half-days of absence per year for a class of 30. The findings suggest that it is not just eating breakfast that delivers improvements, but attending a breakfast club. This could be due to the content of the breakfast itself, or to other social or educational benefits of the club.